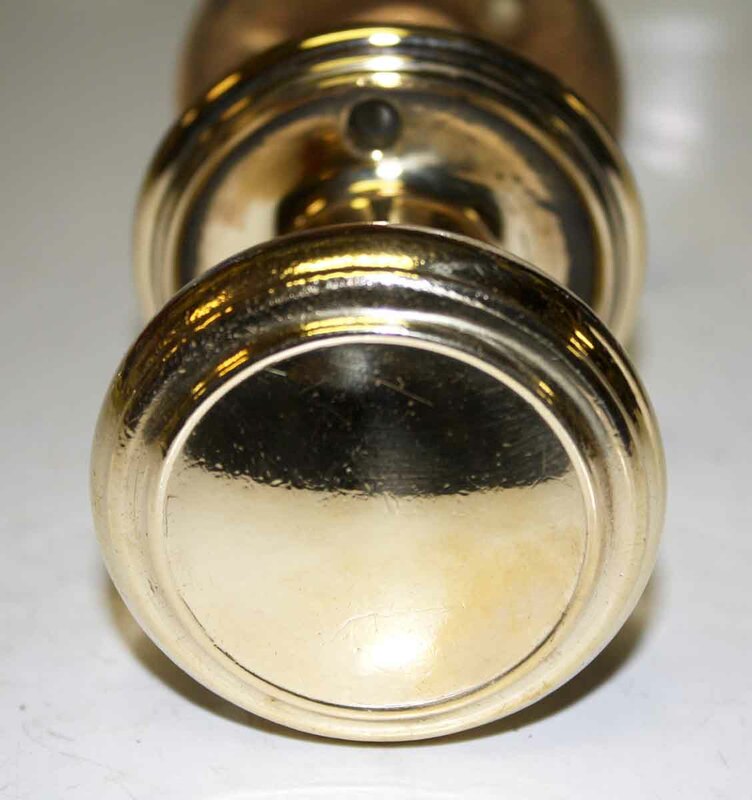 These are original solid cast brass door knob sets from the turn of the century. 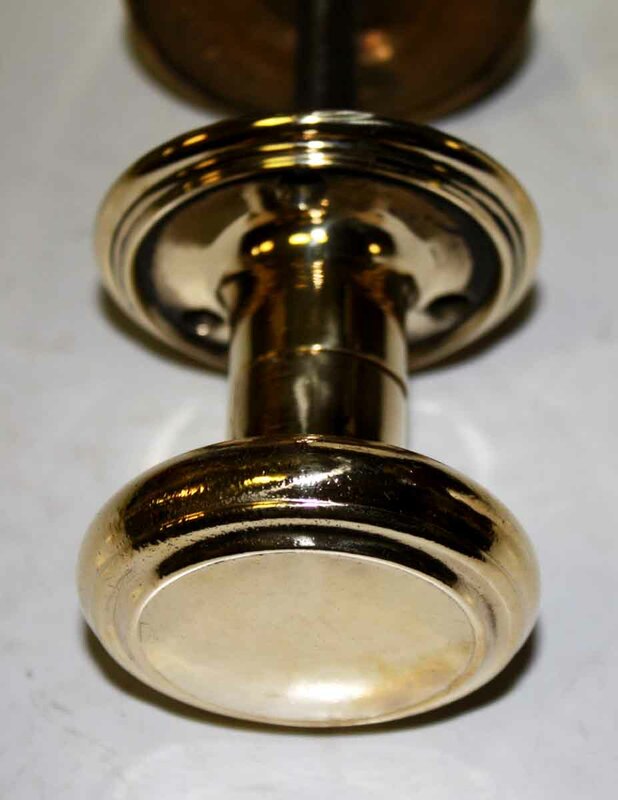 You may request them polished or with the original patina. 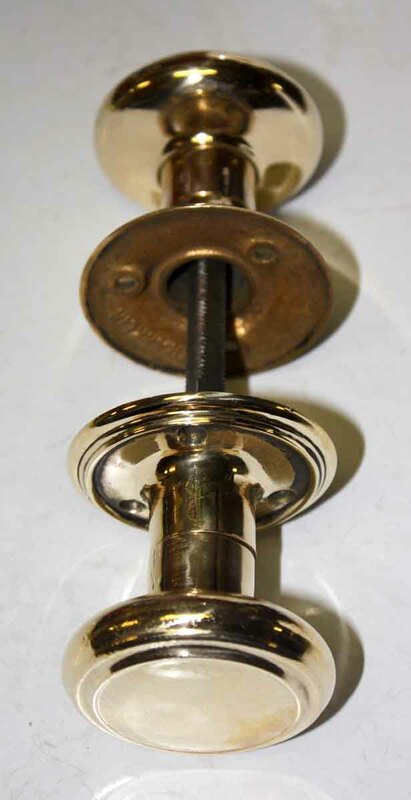 This item is priced by the set which includes two knobs, two matching rosettes and one spindle.